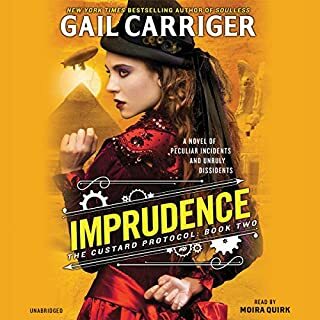 Rue and the crew of the Spotted Custard return from India with revelations that shake the foundations of England's scientific community. Queen Victoria is not amused, the vampires are tetchy, and something is wrong with the local werewolf pack. To top it all off, Rue's best friend, Primrose, keeps getting engaged to the most unacceptable military types. Rue has family problems as well. Her vampire father is angry, her werewolf father is crazy, and her obstreperous mother is both. Worst of all, Rue's beginning to suspect what they really are...is frightened. I loved the character! Rue is fantastic!!! !Can’t wait to see what the crew does next! 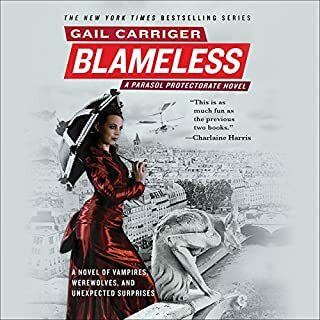 Where does Blameless rank among all the audiobooks you’ve listened to so far? 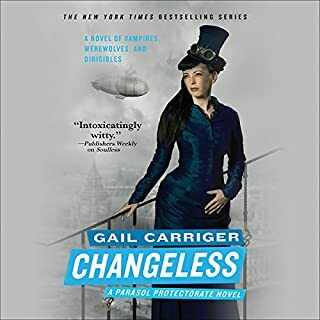 One of the fantastic stories I have heard by Gail Carriger. I enjoyed the storyline very much! What was one of the most memorable moments of Blameless? Connall's realization of his stupidity and his very public apology! Have you listened to any of Emily Gray’s other performances before? How does this one compare? I have with the previous two books in the series also read by Emily Gray. I enjoy her narration and her ability to make different voices and accents! She' s great! I laughed and blushed quite a bit! Excellent story by an excellent author! Love this series! I loved this story! Can’t wait to read the next one!!! The characters are so much fun! What a beautifully written story! It is my favorite book in this series thus far! A must read! Ever since the death of his shellan, Tohrment has been unrecognizable from the vampire leader he once was. 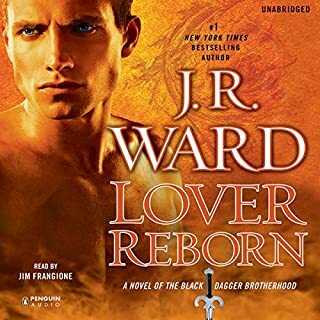 Physically emaciated and heartbroken beyond despair, he has been brought back to the Brotherhood by a self-serving fallen angel. Now, fighting once again with ruthless vengeance, he is unprepared to face a new kind of tragedy. When Tohr begins to see his beloved in his dreams - trapped in a cold, isolated netherworld far from the peace and tranquility of the Fade - he turns to the angel in hopes of saving the one he has lost. Some very interesting twists to the multiple stories of the characters in this series. What an ending! Payne, twin sister of Vishous, is cut from the same dark, seductive cloth as her brother. Imprisoned for eons by their mother, the Scribe Virgin, she finally frees herself - only to face a devastating injury. 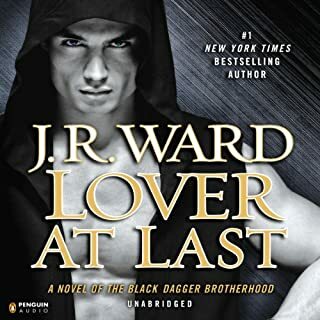 Manuel Manello, M.D., is drafted by the Brotherhood to save her as only he can - but when the human surgeon and the vampire warrior meet, their two worlds collide in the face of their undeniable passion. With so much working against them, can love prove stronger than the birthright and the biology that separates them? Absolutely loved it! I really enjoy all of the characters in this series. You just gotta love manny! Great book! I enjoyed this book much more than I enjoyed book 1. I loved the development of the story and its characters. At first it started out a little slow but it really picked up. I really enjoyed it!